When you first lay your eyes on it, you know it’s completely different from anything else. That’s by design. The Honda Ridgeline features unibody construction which differs from all the other full-size trucks on the market. That may lead you to ask the question, “Does it perform like a real truck.” The answer is: yes – it absolutely does. The Honda Ridgeline may look different from competitors from Ford and Chevy, but it still can haul the load when you need it to. The all-around independent system on the Ridgeline also provides a better ride quality than many of its competitors. Honda believes you can deliver a rough and rugged performer that also offers a comfortable ride. The Ridgeline also has one other huge factor going for it in that it is a Honda brand vehicle. That means you are getting the highest quality truck available on the market. Think that’s a bold statement considering the legendary status of the Silverado and F-150? Maybe, but we’ll put the Ridgeline’s dependability and reliability up against any other truck in a competition. Honda quality is just that rock solid. Why not head down to Fernandez Honda today and check out the Honda Ridgeline for yourself? Our San Antonio, TX Honda dealership has an incredible selection of new and pre-owned Ridgeline models to choose from. Best of all, every month we offer purchase and lease specials on the complete line of new Honda models at our store. You’ll find incredibly low Honda prices and monthly lease programs no matter what day of the week or month you shop. We’re ready to help you out with all your needs today at Fernandez Honda. The Ridgeline is a unique truck that offers a wide variety of features, benefits, and convenience. Come in today and see if it fits your needs and lifestyle. 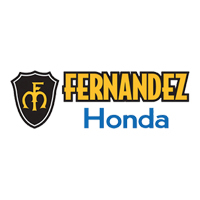 Fernandez Honda is conveniently located at 8015 IH 35 S. San Antonio, TX 78224. We’re proud to serve La Vernia, Universal City, Floresville, and all other areas surrounding San Antonio. 2018 Ridgeline shoppers will be excited to know they have a wide range of trim options in the lineup to choose from including RT, Sport, RTL, RTL-T, RTL-E, and Black Edition. If you’re looking for the Ridgeline model that’s sure to get you noticed on the streets of San Antonio, it would most definitely be the Black Edition. It comes standard with black exterior trim, black leather interior, and eighteen-inch black alloy wheels. The 2018 Ridgeline is powered by a 3.5L V6 engine in all configurations that delivers 280 horsepower and 262 lb-ft torque. Maximum towing capacity is listed at 5,000 pounds when the 2018 Ridgeline all-wheel drive model is properly configured. Honda also makes it suite of driver assistance technologies available on the 2018 Ridgeline. It’s known as the Honda Sensing package and includes Collision Mitigation Braking System, Road Departure Mitigation System, Adaptive Cruise Control, and Lane Keeping Assist System. The 2018 version of the Ridgeline ranks among the leaders in passenger volume making it equally at home as a people mover. The bottom line is if you’re looking for the ultimate in versatility from your truck, you have to put the 2018 Ridgeline at the top of your consideration list. The Honda Ridgeline arrived for the 2006 model year and set the automotive world buzzing with its unique construction and style. The truck was built on a platform similar to the Honda Pilot, but offered true truck-like performance with its 5,000 pound towing capacity. The factory enhanced the Ridgeline in 2009 by offering fifty different new available features on the truck. Three years later, Honda expanded the Ridgeline lineup by adding a Sport trim which featured a blacked out grille and eighteen-inch wheels. The Ridgeline continues to occupy a unique niche in the full-size truck market to this day. Why Get Your Ridgeline at Fernandez Honda? Great service and low prices. Two big reasons to get your Ridgeline at Fernandez Honda today. We’ll make sure you get the exact Ridgeline model you want and drive away with our absolute best deal whether you choose to purchase or lease. We invite you to come in today and test drive the new Honda model you want. Our product specialists are ready to take care of any and all needs you have at our Honda dealership located at 8015 IH 35 S. San Antonio, TX 78224.